Semantics as a Service: make semantics accessible and actionable! JSON RESTful: semantic technologies ready to be integrated based on popular web technologies. CRUD: create, read, update, and delete – your full-blown API for all kinds of interactions with your taxonomy and knowledge graph. 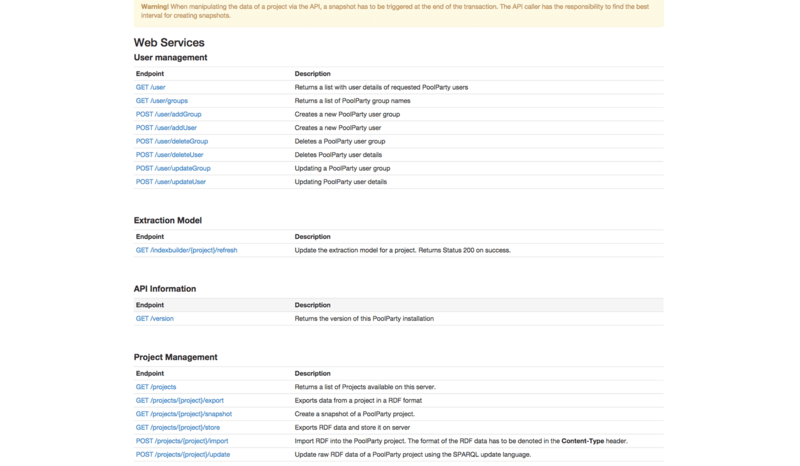 Secure: rely on an API, which is fully integrated into PoolParty’s security layer based on Spring. SPARQL endpoint: in addition to the standard API, make use of PoolParty’s SPARQL endpoint to execute more complex queries. JSON RESTful: sophisticated text mining services accessible via common web technologies. Comprehensive web services: PoolParty APIs provides most probably all semantic services you would expect to upgrade your application. 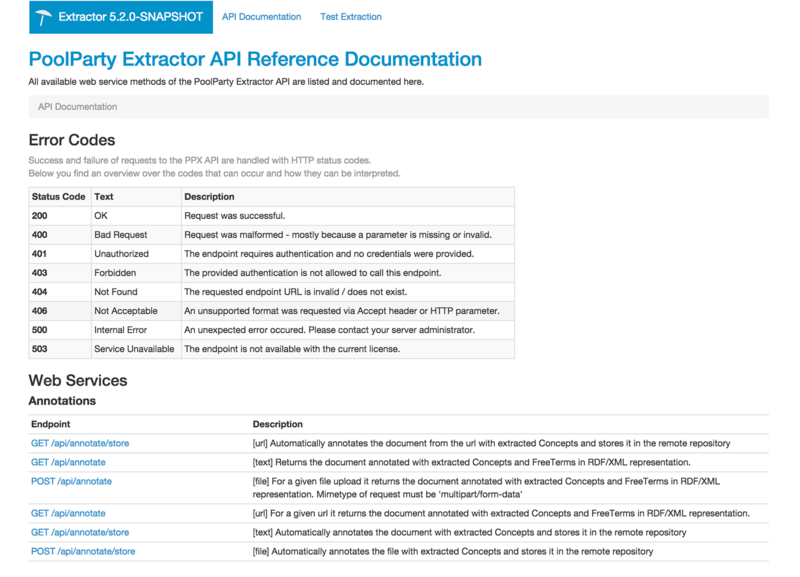 Easy to learn: benefit from a short familiarization time – PoolParty Extractor API can be learned within less than a day. Sign up today and get access to PoolParty Thesaurus Server. Try PoolParty API on top of your own knowledge graph.